Pick up Ed’s earliest collection of EPs. 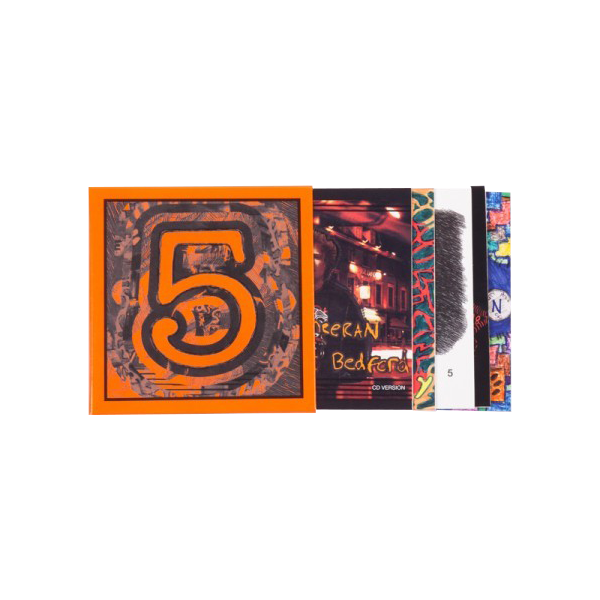 These 5 CD EPs are packaged in a jewel-case-sized holder to help you keep them all together. Each individual CD EP is also individually packaged in an individual jacket featuring that EP's cover art. A must for the Ed Sheeran super fan! Pick up Ed’s earliest collection of EPs. These 5 CD EPs are packaged in a jewel-case-sized holder to help you keep them all together. Each individual CD EP is also individually packaged in an individual jacket featuring that EP's cover art. A must for the Ed Sheeran super fan!